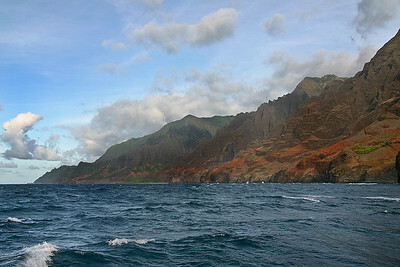 Scenery of the neighbor islands of Kaua'i and Lana'i. 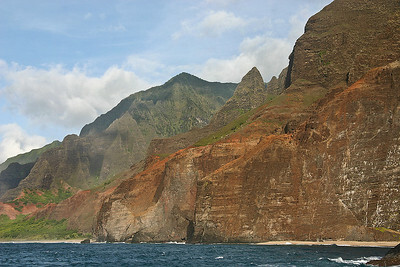 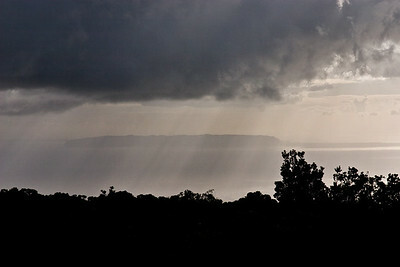 The island of N'ihau viewed from the highlands of Na Pali State Park, west Kaua'i. 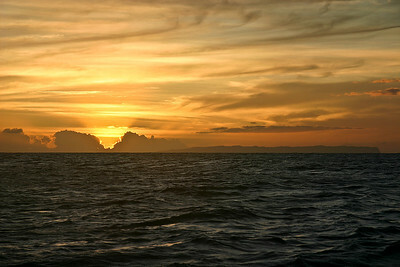 Sunset over the island of Ni'ihau, as viewed from a boat just offshore from the Na Pali coast, west Kaua'i. 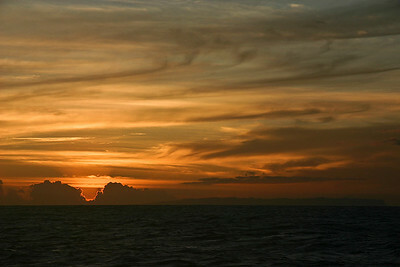 The island is visible on the horizon just to the right of the setting sun. 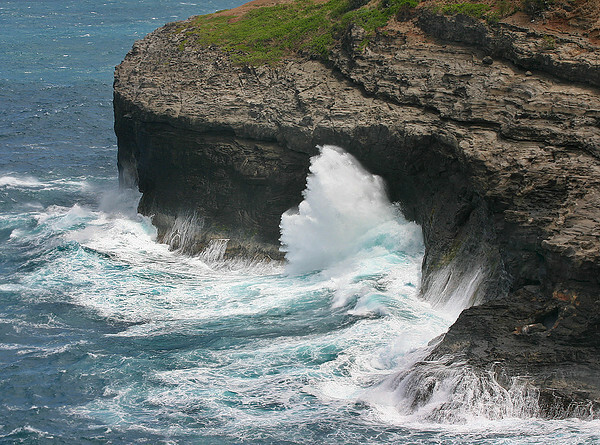 Inlet formed by the collapse of a lava tube. 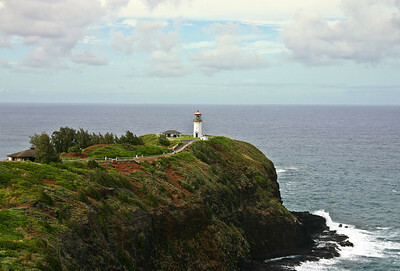 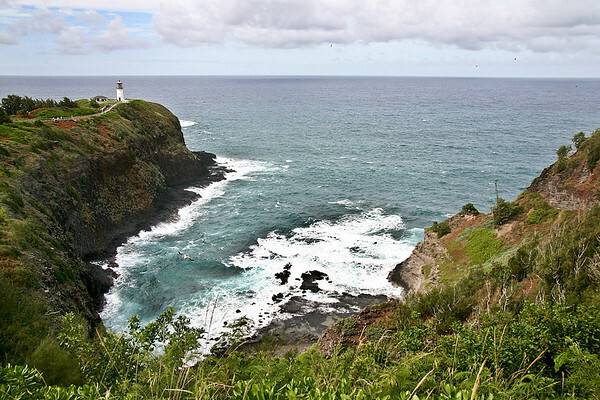 Kilauea Lighthouse, north Kaua'i. 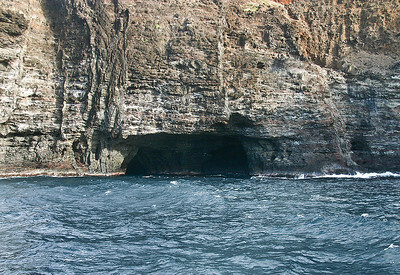 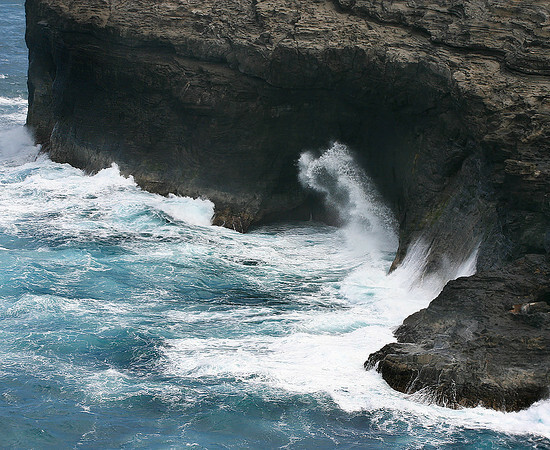 A shallow sea cave at the base of the cliffs near Kilauea Lighthouse, north Kaua'i. 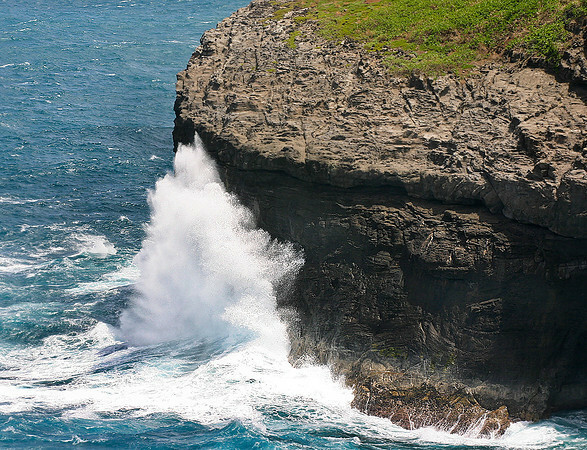 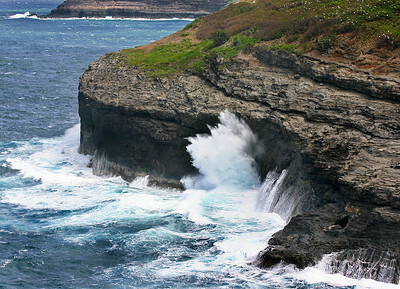 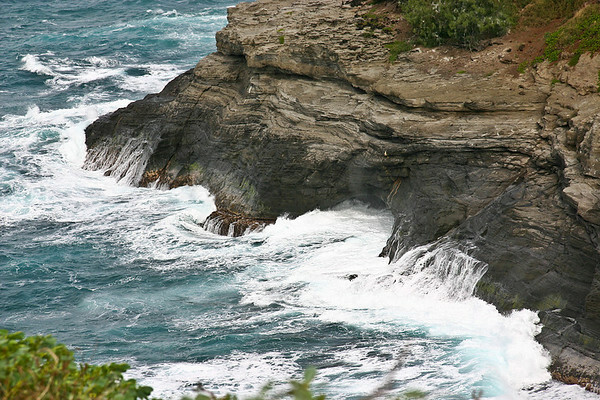 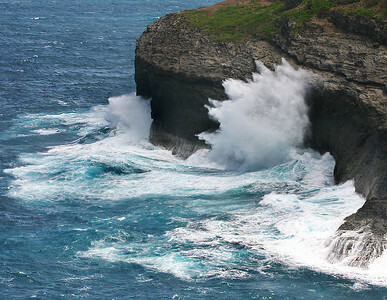 Wave-battered headland at Kilauea National Wildlife Refuge, northern Kaua'i. 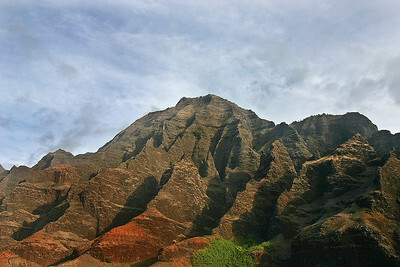 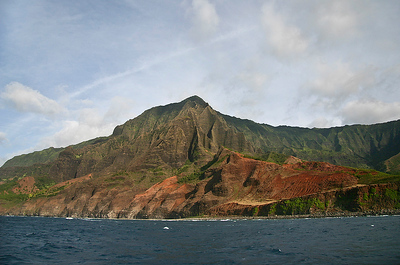 Headlands of the Napali Coast, northern Kaua'i. 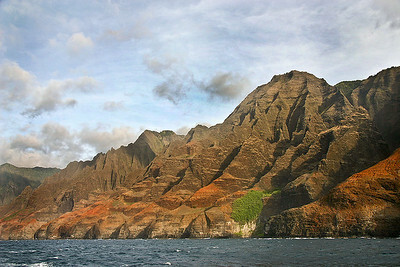 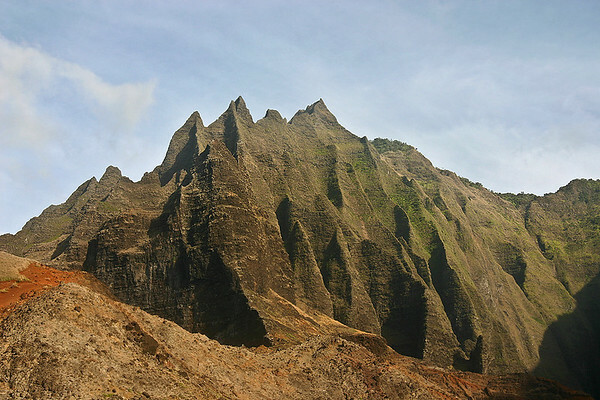 The deeply weathered cliffs of the headlands of the Napali Coast, northern Kaua'i. 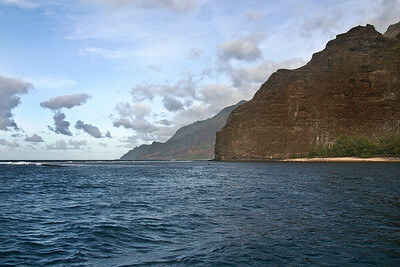 Beach and rocky promintory at Nuilolo Bay, Napali Coast, north Kaua'i. 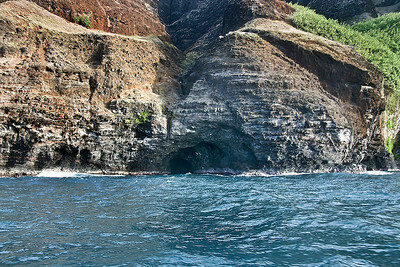 A sea cave cut into the steep cliffs of the headlands of the Napali Coast, northern Kaua'i. 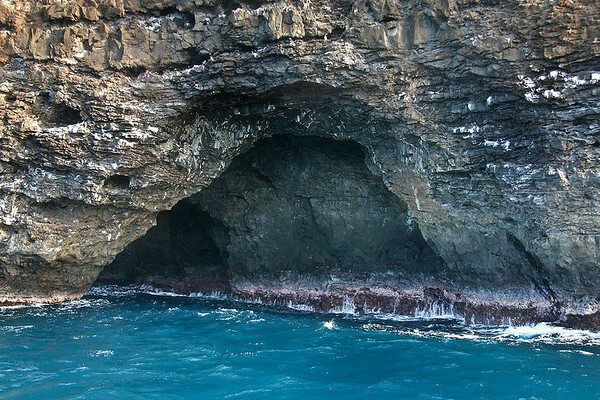 Seaward entrance to The Arch at Honopu, the Napali Coast, north Kaua'i. 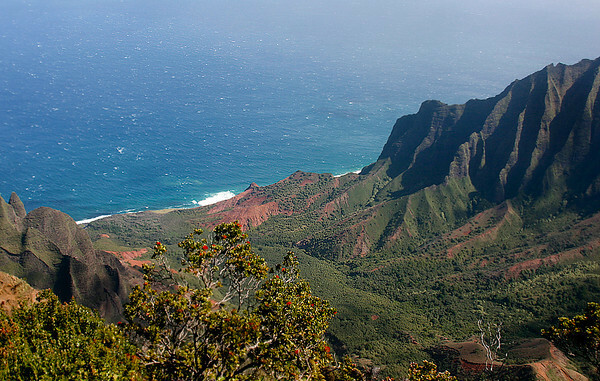 View of the Na Pali Coast from atop Kalalau Lookout, northwest Kaua'i.